Ely Sheep Grazing Allotments. The orange polygons represent bighorn sheep distribution and the red polygon represents the Warm Springs sheep trail. Click for larger view. For the last several years I have been appealing grazing decision issued by the Ely District of the BLM and, over and over again, the District only considers alternatives which maintain the status quo even when they have identified problems on the allotments that are either caused by or exacerbated by livestock grazing. The decision that was overturned and remanded back to the Ely District was for sheep grazing on 8 allotments encompassing 1.3 million acres of the Egan Field Office. In their decision the BLM only considered two alternatives, one which would have renewed the previous 10-year decision without any changes; and one which would have renewed the permit with very minor changes in seasonal use, and placed very weak utilization standards on different components of the vegetation but kept the exact same number of grazing AUMs. They didn’t consider a no grazing alternative or an alternative which would have reduced grazing levels at all. The allotments contain important sage grouse, pygmy rabbit, and bighorn sheep habitat and readers of this blog know quite well how domestic sheep impact bighorn sheep with their diseases. Judge Andrew Pearlstein ruled that the BLM did not consider an adequate range of alternatives as required under the National Environmental Policy Act and added that they didn’t even consider an alternative which would have closed sheep grazing allotments with bighorn sheep habitat as required by their own 2008 Resource Management Plan. The sheep that are grazed under this decision trail north through the district and the up into the Ruby Mountains where bighorn sheep suffered a fatal outbreak of pneumonia last winter. Judge overturns BLM grazing decision. Read the WWP Online Messenger about the ruling. This is incredibly beautiful high desert country, but badly trashed by livestock in places, and I think a threat to bighorn sheep. I’m so happy for this victory! Ken – Thank you for your work on this. This is why Western Watersheds Project is important. 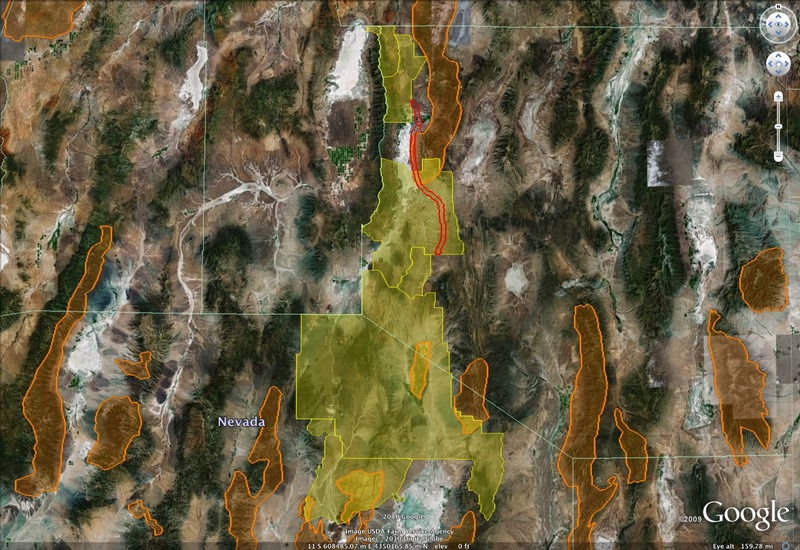 The BLM in central Nevada is used to just approving what the land barons want on the public lands. They expect no one is watching for the public who will want the law upheld or the bighorn sheep protected from disease from domestic sheep. All you really have to do is point out how many ways they violated the law in their update of the grazing management plans. Then the judge hands down a summary judgment because there is no dispute over the facts. this highlights the importance of public oversight of government administration of public resources. Wow, great news. The maps are really great. I would like to see more of this to gain a greater understanding of how these grazing allotments work. There are so many great ranges in the intermountain west but they are degraded by grazing, even in the high country. Now just have to get the horses out of there.